Venturi flowmeter. 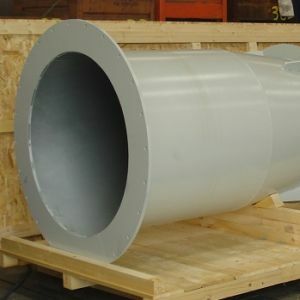 Max diameter 1105 mm, min diameter 495 mm, length 13500 mm. Completed with silencer and rain hood.